Living Sq. Ft. : 1551 s.f. Total Sq. Ft. : 2259 s.f. 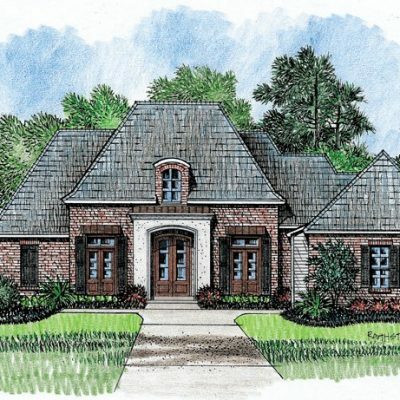 This is a beautiful Louisiana Garden style Zero Lot house plan with a courtyard. 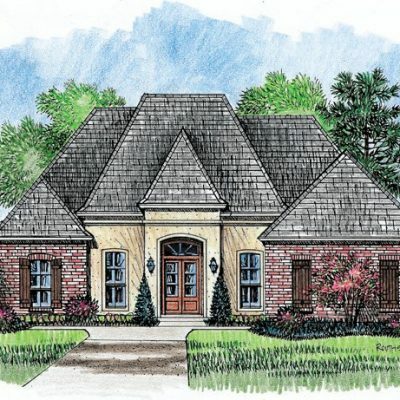 Stepping into this home, you will love the layout. 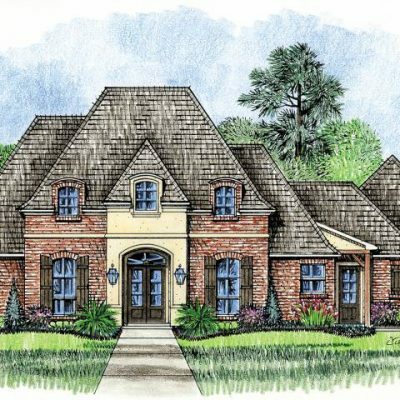 There is a formal Foyer upon entering that has French doors looking out into your courtyard. Entering the home, you will see all the main living areas are open, which makes the space seem bigger. You will love the kitchen layout with the huge center island with centerpiece cook top and “L” shaped bar. The Dining room is adjacent to the kitchen and, like the kitchen, it is open to the family room. The family rooms ceiling is 2 feet taller then the adjoining rooms at 12’ high and allows for a grand feel. 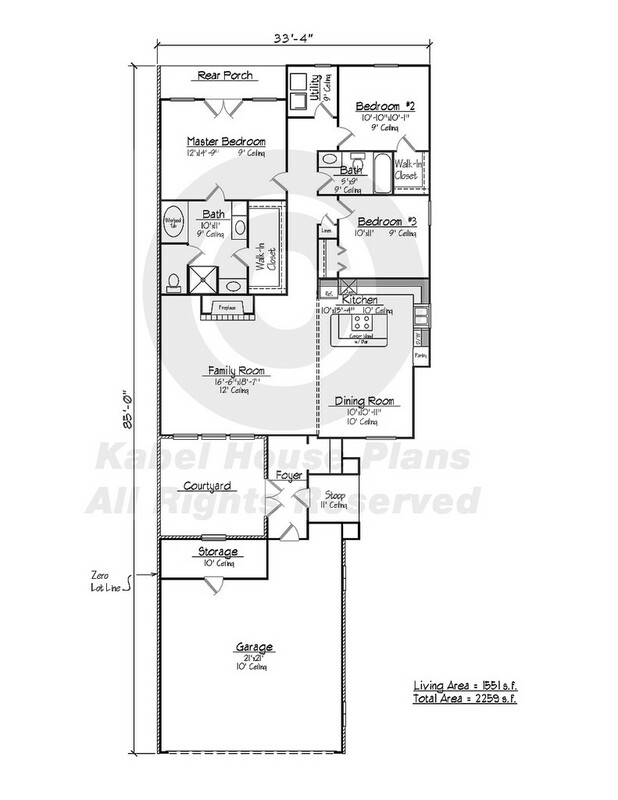 The master bedroom is located on the left side of the home – isolated from the other two bedrooms. The master has a private rear porch that is accessed through the French doors and a walk in closet and bath with whirlpool tub. 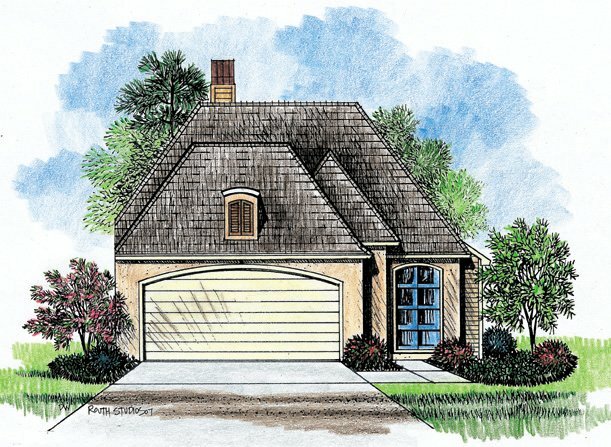 The front garage also makes pulling your vehicles in and out simple. 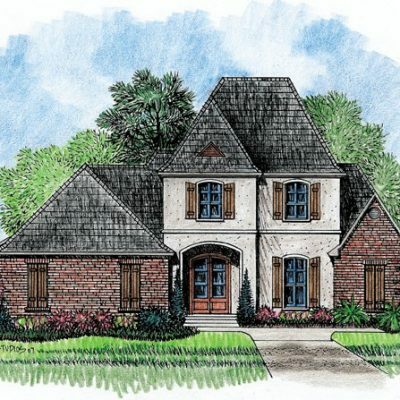 We know you will enjoy this zero lot line Louisiana garden style home plan as much as we loved creating it.